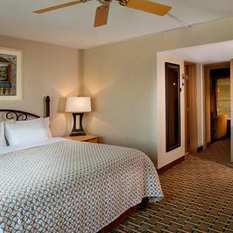 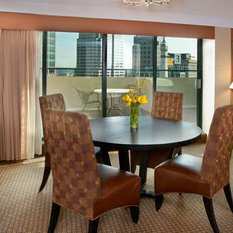 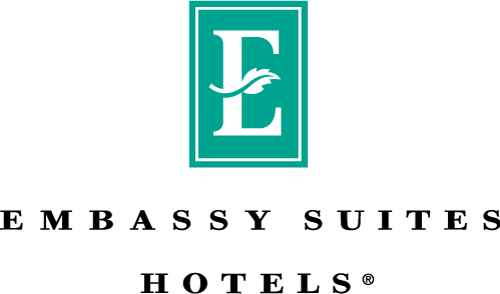 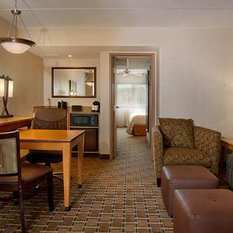 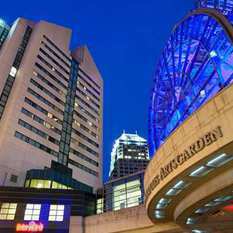 The Embassy Suites Indianapolis – Downtown hotel is located in the heart of Indianapolis, Indiana, near major corporate offices and popular attractions such as Lucas Oil Stadium and the Indiana Convention Center. 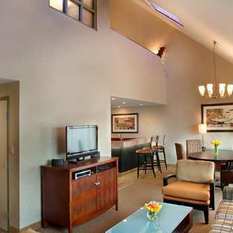 Enjoy tastefully decorated bedrooms and living rooms in each suite, featuring televisions, a wet bar area and a flexible workspace. 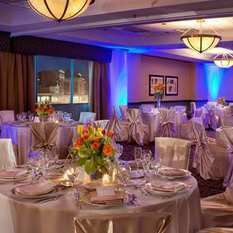 Mingle with other guests at the complimentary nightly Manager’s Reception in the atrium or dine in-suite at this Indianapolis hotel. 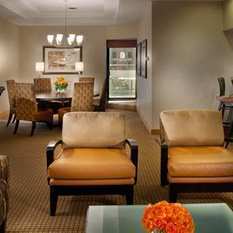 Stay connected in your suite with high-speed internet access. 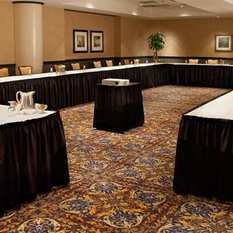 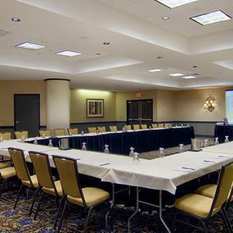 Let our experienced event planners assist in planning the perfect meetings and events – larger conferences and smaller meetings – at the Embassy Suites Indianapolis – Downtown hotel. 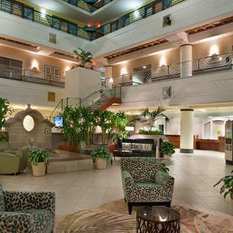 This hotel in Indianpolis is connected to the Indiana Convention Center via skywalk and is attached to the Indiana Roof Ballroom, which seats up to 2, 000 guests. 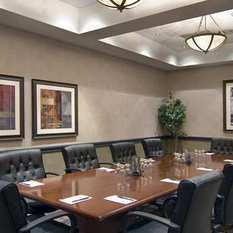 Take advantage of the hotel’s fully equipped BusinessLink™ Business Center, offering printing and photocopying access. 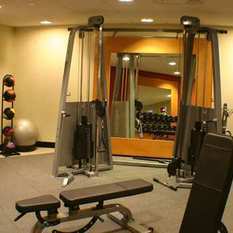 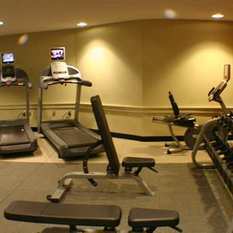 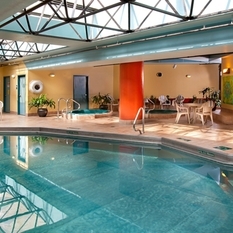 Relax in the hotel’s indoor swimming pool and take a dip in the whirlpool, or keep fit in the fitness center, equipped with modern cardio machines and weights. 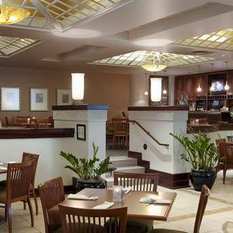 Indulge in a little retail therapy at Circle Centre Mall, which is directly connected to the hotel. 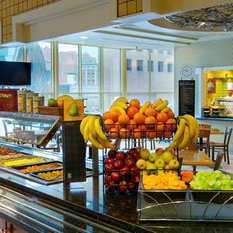 Savor delicious casual cuisine at the Claypool Grille restaurant and lounge, serving salads, pastas and pizzas in the lobby atrium.